Now if you're ever thinking of taking a sabbatical in sunnier climes, please be warned never to bring along with you James Tynion IV or Stephen Segovia. Or else you might end up in this rather bodacious tale they Published in March, 2014, by those spoil-sports over at DC Comics. Look at the cover provided, and you can clearly see why. To QUOTE Kylie Minogue: 'I have had a holiday, and I'd like to take it up professionally'. Do you know what? 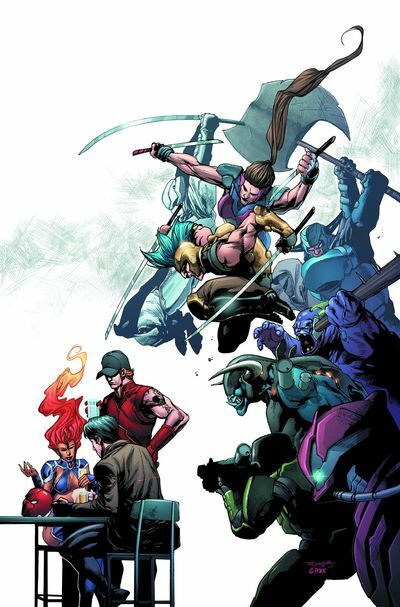 I should have known better than to go on holiday with my old 'boyfriend' Jason Todd and his two pal's, Roy and Kori. But idiotically I said to myself, 'Isabella, I'm sure this time we meet everything will be OK. I'm positive there will be more dancing on the dance floor than shooting in the sun'. And to start off it, yeah, it was just that. Fun in the sun with the 'Outsiders'. However, as luck would have it, midway through our sabbatical the owner of the exclusive resort we were staying in made himself known. His name was Midas. He was the head of a vast criminal empire. And he wanted to kill us. Hmmm. Time go home methinks. 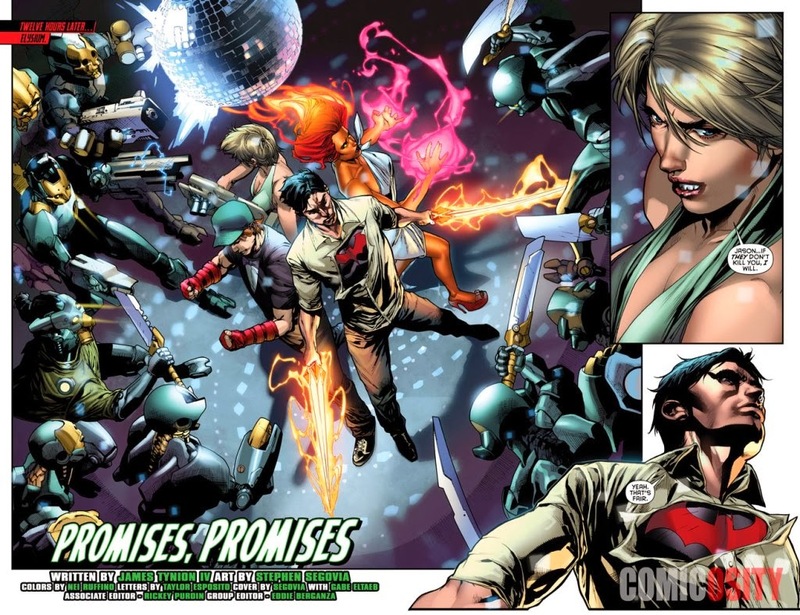 Despite it's somewhat obvious pretext, overall I'd say 'Promises, Promises' was a great story to read. Initially I enjoyed how the character of Isabella was brought onto this book, and used as a mouthpiece to express these shenanigans from a 'more realistic' perspective. Honestly. The way she constantly commented on what was going on from one moment to another really grounded this book in more ways than one. Also, something else that really grounded this tale was Stephen Segovia very glossy and atmospheric artwork, as well as how Kori was utilized in a couple of scenes, denoting how the outside world could perceive her, even if she was camouflaged in a holographic projection. Oh! And while I'm on this point, I must mention I loved those segments were she punched that creep in the face for coming on to her, plus that other one where Roy commented on Jason's negotiations skills with Midas. To me, they were a lot funnier than the silly notion of booking a holiday on a resort owned by a moody looking crime boss. The only slight gripe I have with this tale is the notion of knowing that the gang are going to get into a fight during their sabbatical, and this kind of spoiled the first half of it due to this obvious expectation. In my eyes it's like watching a 'Aliens Vs Predator movie', and waiting for the two combatants to finally collide. Know what I mean? If you want to know why I'm comparing the theme-tune from the sitcom, 'Are Your Being Served? ', to this tale, then I think it best you read the following section for more details. 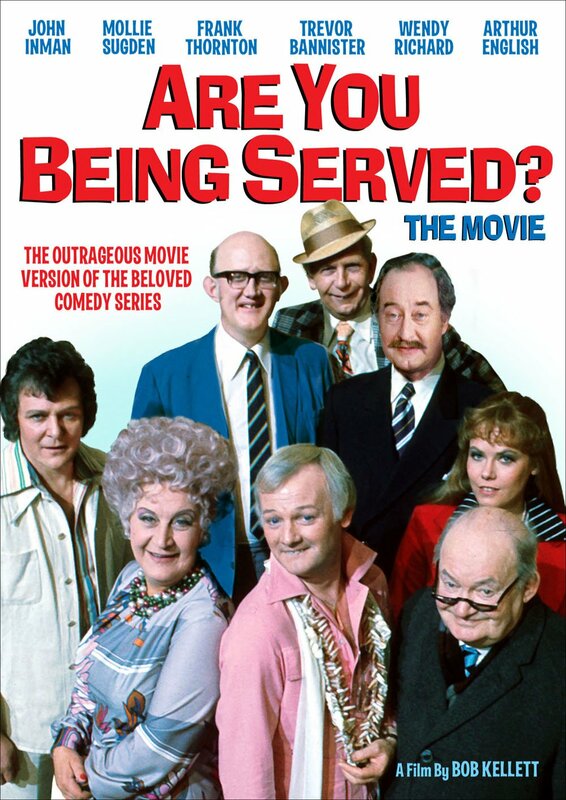 During the seventies and eighties there was an English television show broadcast on the BBC called 'Are You Being Served?'. Now one of the main reasons this sitcom sprang to mind whilst reading this story, is because I remember watching an episode of it set in Spain, where hilarity ensured in hotter climes. Recently I've been contacted by someone within the industry -- who shall remain nameless -- who has asked me to ask you, who out of the following seven characters you would like to see appear frequently in this book. Now please don't get the wrong impression, my friends. This question isn't aimed at marketing or titivation or something else you might think of. But instead, it's a creative vision that someone would like to investigate further, for the sake of their own self knowledge.